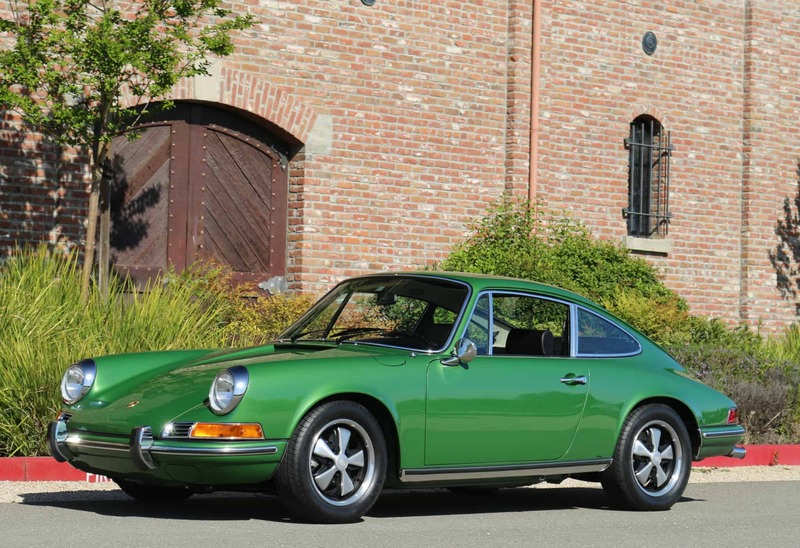 1971 Porsche 911T Coupe: One owner since new; 55k original miles; all numbers match; original floor metal; superb body gaps; never wrecked. Freshly restored: Car was dismantled (windows out, engine removed) and taken to metal; metal hand dollied; hand blocked; base clear paint in the original rare Metallic Green/83 paint; wet sanded and polished; reassembled with all new seals. Too many details to list. Engine rebuilt, new clutch, new interior, new stainless steel exhaust, etc. A beautiful early 911T Coupe ready to enjoy. COA included. We go to extents to document our cars in pictures and provide the most transparent listings on Ebay. Please study the pictures carefully rather than requesting descriptions. Please complete any inspections or ask any questions prior to bidding or committing to buy the car. Thanks for the interest!